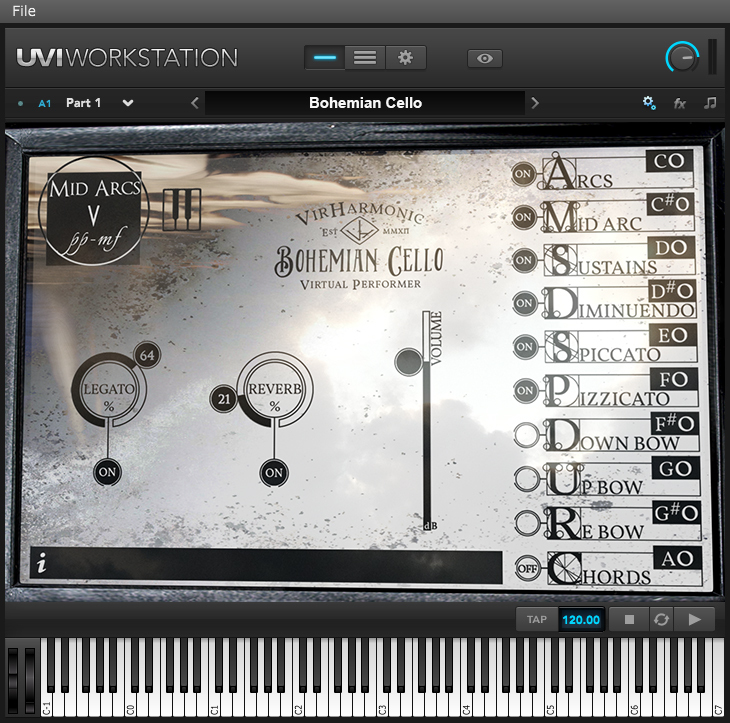 Virharmonic has released Bohemian Cello, the second addition of their "Soul Capture Series" that is designed to allow composers to just play on the piano and enjoy a Cellist performance. Due to the amount of bow types and samples recorded, VirHarmonic have developed a Virtual Performer to handle the articulation and bow selections for the composer as they play. This allows the composer to concentrate on playing and being inspired in a similar fashion as they would be inspired by working with a real Cellist. The current version of the Bohemian Cello offers 2 types of Arcs each with 2 dynamic layers and 2 unique round robin repetitions per bow type, making it capable of 16 possible bow movements per note on Arcs and Mid Arcs alone. The Bohemian Cello also has 3 true dynamics on Sustains with 2 round robins per each bow on each sustain, adding further 12 variations on each note with real dynamics to choose from. In addition there are 3 dynamics of Diminuendos going all the way to p- ppp with 2 round robin repetition and their Spiccatos which have 4 repetitions per bow and per one of the 3 dynamic layers. 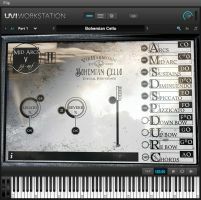 The Bohemian Cello also features VirHarmonic's Pizzicato which can be tested and heard in the Cello Freebie. Each of these articulations can be forced on the engine using an assignable force key giving the user the added control over the performer should they choose to adjust the engines behavior. Price: 149€ + VAT (if applicable). There is a 119€ + VAT (if applicable) pre-order price until the expected release date of the 8th July 2016, .